West MacDonnell Ranges is a stunning chain of mountains that stretches for 644 km west of Alice Springs. Over the eons, Finke River has cut its way through the mountains forming a number of spectacular gaps and gorges that can be explored via the Mereenie loop. All major attractions have campsites that provide a convenient base from which to explore the area. We spent a few days and nights exploring the wildlife of West MacDonnell Ranges and here is what we found. Like most gorges in the West MacDonnell Ranges, Glen Helen Gorge is quite spectacular. Fink River cuts through the gorge on its way east to the Simpson Desert, providing a permanent water source – quite a rarity in this arid part of Australia. We only had a brief overnight stop at Glen Helen and took a quick stroll on the bank of the icy cold river in the morning. 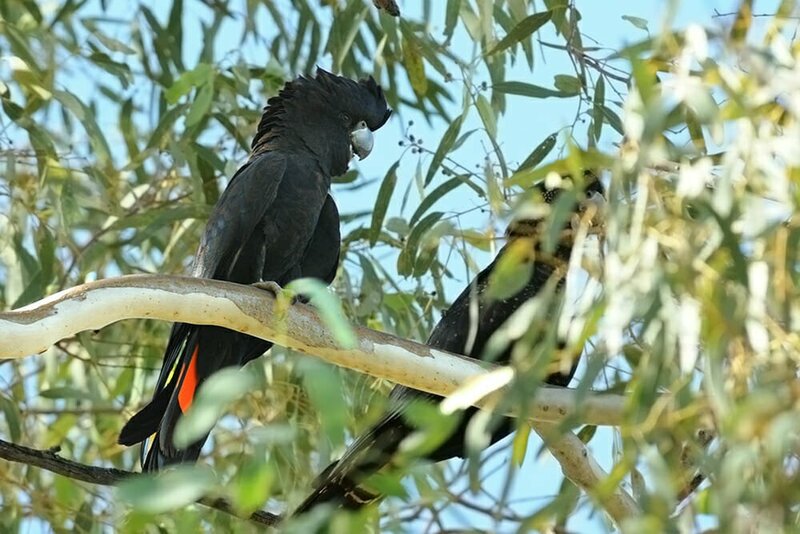 There were some birds by the river – a flock of noisy Zebra finches, some Spinifex doves, and even a Great cormorant! The campsite at Glen Helen offered scenic helicopter flights over the gorge, but as much as we wanted to, we didn’t stay long enough for further exploration. We had to reach the Palm Valley – our next destination in broad daylight since the approach road promised to be quite challenging. Palm Valley is one of the less explored destinations of the MacDonnell Ranges and it requires a high-clearance 4WD to navigate its treacherous roads. But without a doubt, it is absolutely worth it. Nestled inside a deep gorge it has the feel of a primeval lost world, dominated by large ferns and ancient palm trees – reminders of a much wetter climate in the region. We had the campsite at Palm Valley all to ourselves and it was where we saw most of the wildlife. Sandy river banks turned up some Red treefrogs as well as some Spencer’s burrowing frogs, that would dig themselves right back into the sand when disturbed. 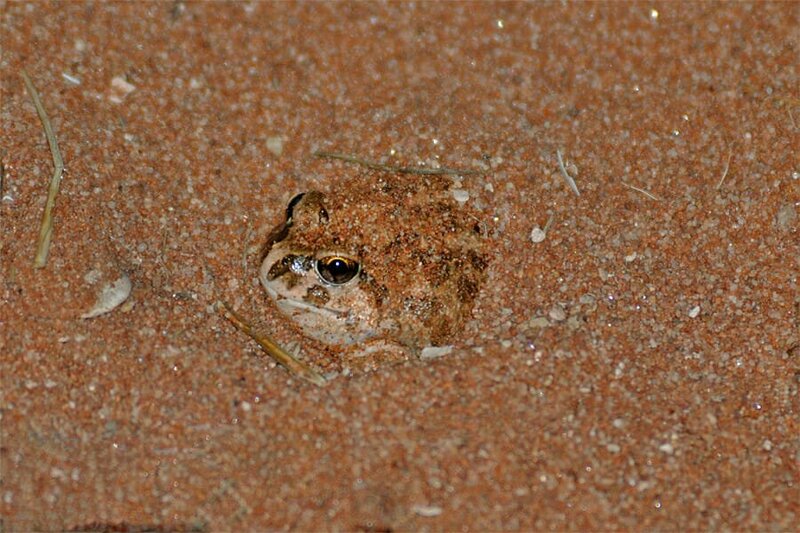 These amazing frogs spend most of the year in the subterranean chambers that they dig for themselves – a perfect adaptation for life in the arid environment. In the morning a beautiful and healthy female Dingo visited the campsite. She looked to be in a very good condition – a proficient hunter, rather than a campsite scavenger. She lounged around for about an hour, having a drink in the river and relaxing on the grassy lawn. 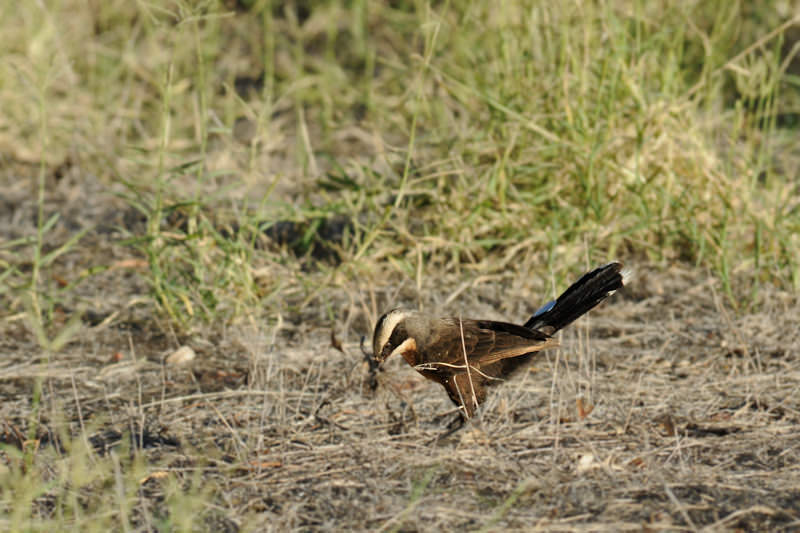 There was a Grey-crowned babblers’ nest near the campsite and I spent some time watching the birds tending to their nest and defending it from various intruders. 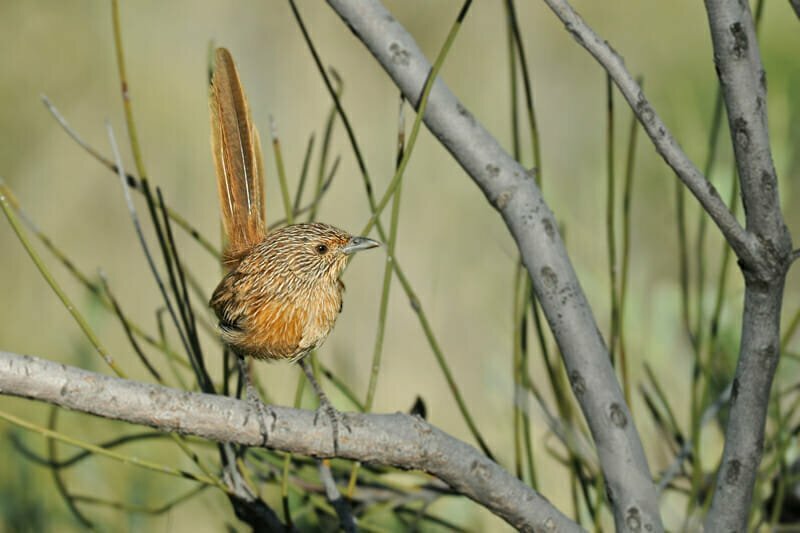 These birds are prolific nest builders – they create great big domed nests that they tend to all year round. 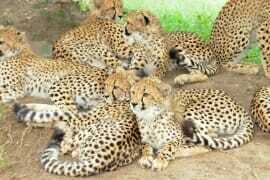 They live and breed in co-operative family groups consisting of a dominant breeding pair and a number of related helpers. The group I was watching put on quite a show of collecting twigs and dry grass, taking it up to their oversized nest and waiting for their turn before hopping up to the nest and weaving the raw material they brought into the existing structure. They each seemed to be working on different sections of the nest and I wondered how these duties were delegated amongst the birds. At one point a couple of Noisy miners swooped in dive-bombing some of the babblers and immediately the rest of the group flew up to stand by the birds that were being attacked. 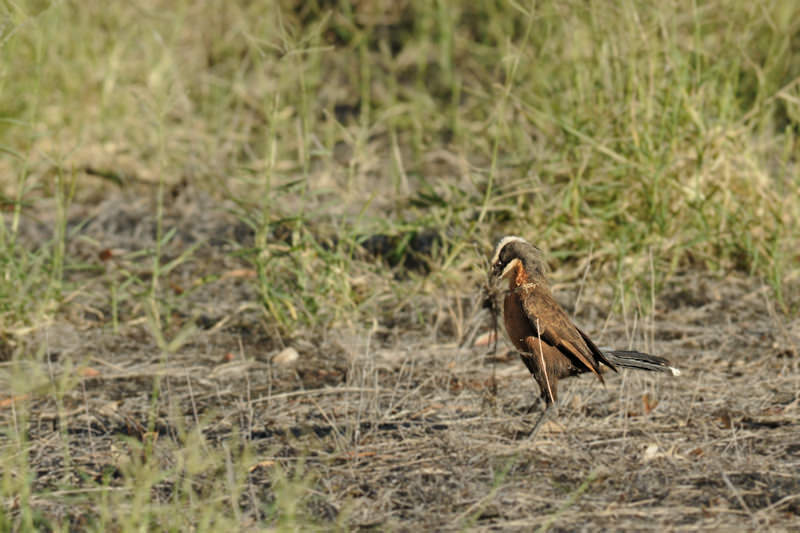 Like all babblers, these species have a very rich and interesting, almost meowing call consisting of calls and answers of the breeding pair and chats and chirps from the other birds in the group. The call becomes a loud cacophony of sounds when dealing with attackers and intruders. 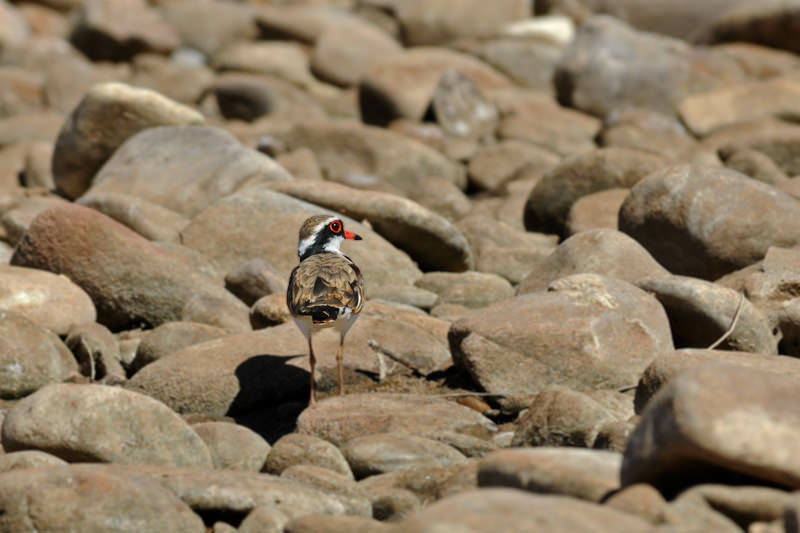 The abundant waterholes in the valley attract some unexpected waterbirds. 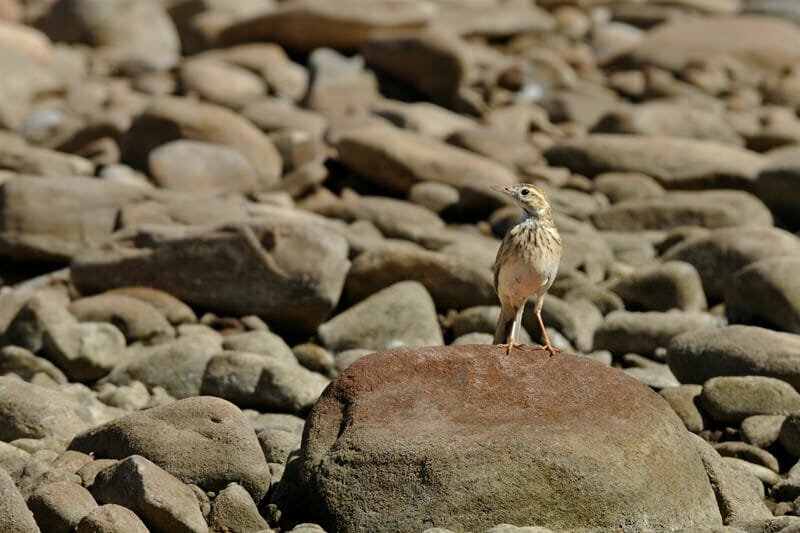 We spotted Pacific black duck and Black-fronted dotterel as well as Australasian pipit swooping in for a drink. 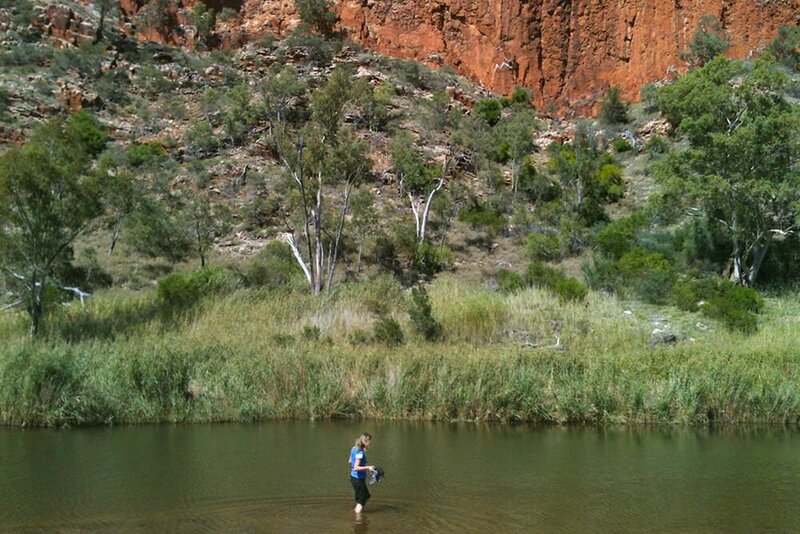 From Palm Valley, we headed to Ormiston Gorge in hopes of finding some Black-footed rock wallabies and having a swim. The road took us through some open woodlands where we spotted more Brumbies as well as some Crimson chats and Budgies. 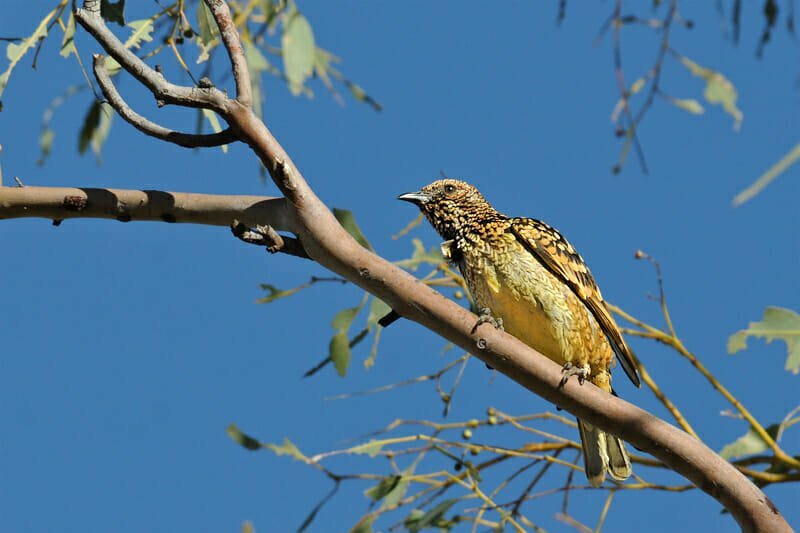 We found that simply driving between the places of interest was a great way to see a wide variety of wildlife of the Western MacDonnell Ranges. The open country on the sides of the road was where we had most of our wildlife sightings. 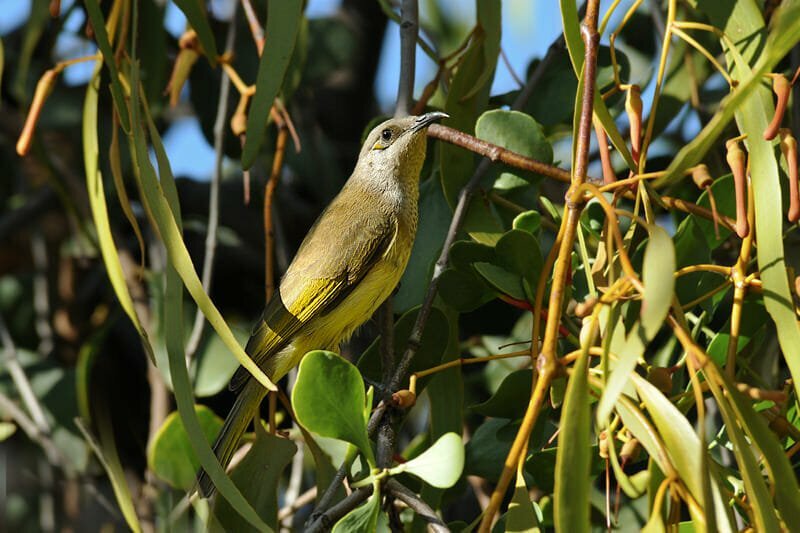 The gorge itself turned up Dusky grasswrens, Brown honeyeater and Grey-headed honeyeater in the afternoon and a couple of distant Black-footed rock wallabies at night. 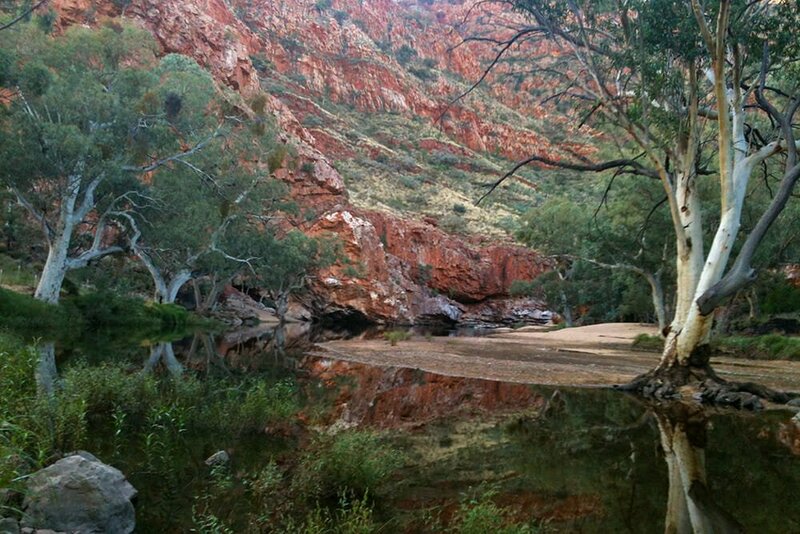 The waterhole at Ormiston Gorge is a tranquil scene of a lost paradise. Surrounded by rugged walls of the gorge with refreshingly cold clear water, it is a perfect place to escape the heat of the day and to recuperate before venturing further afield. And it’s not without its share of surprises. As I was swimming I noticed some movement in the reeds on the opposite bank and since the water wasn’t deep I waded over to investigate. For a while, I couldn’t see the animal, but I was certain it wasn’t a skink – the movement of the reeds suggested that they might be hiding a smallish dinosaur. Finally, my patience paid off and a large spotted head poked through the reeds. It was the magnificent Perentie – Australia’s largest goanna. I was glad it wasn’t a crocodile though! 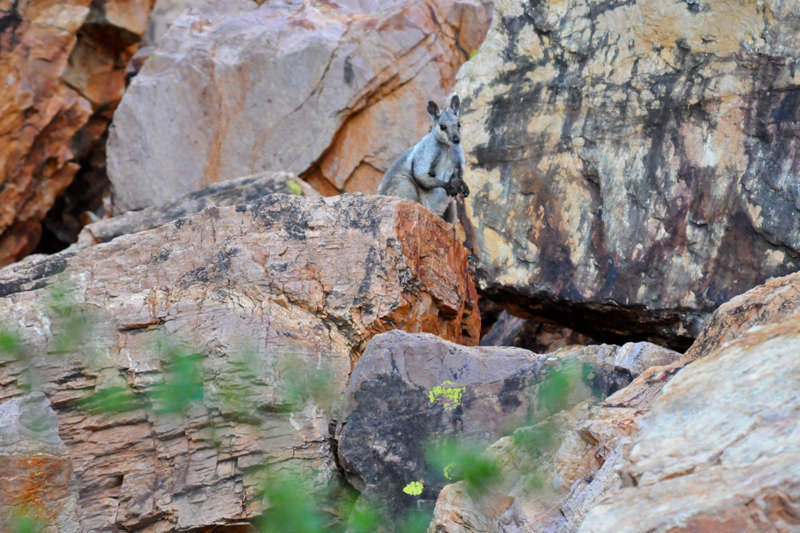 Simpson Gap is reportedly one of the best locations in the Western Macs to see Black-footed rock wallabies – one of the most iconic species of wildlife of Western MacDonnell Ranges. They come down from the steep walls of the gorge to graze in the valley in the early morning and late afternoon. We opted for the afternoon and as promised the wallabies were emerging from their rugged hideaways when we arrived. 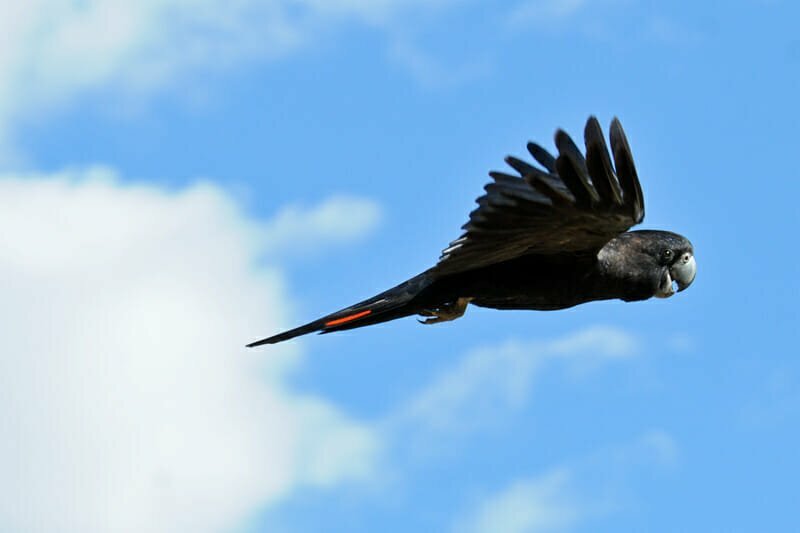 But as luck would have it, as soon as we settled with our cameras ready to take some once in a lifetime photos of the wallabies a Wedge-tail eagle appeared overhead and the wallabies scattered in fear. The eagle seemed to be in the process of sorting out some territorial dispute with a family of Peregrine falcons, which continued until darkness – eliminating any chance of photographing wallabies in the warm afternoon light. 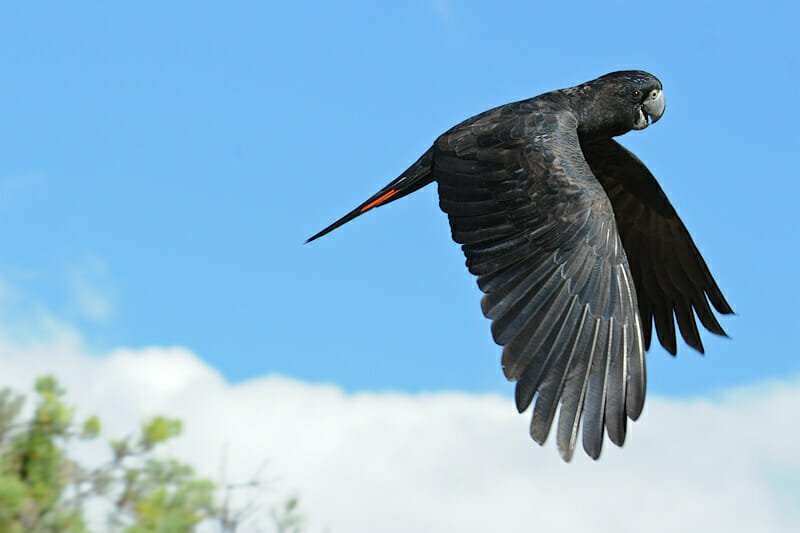 Not all afternoon was affected by bad luck though – we had a good opportunity to watch some Red-tailed black cockatoo at the park’s headquarters on the way in. The best way to explore West McDonnell Ranges is via the Mereenie loop – the road that connects the Uluru & the Kings Canyon and Alice Springs. 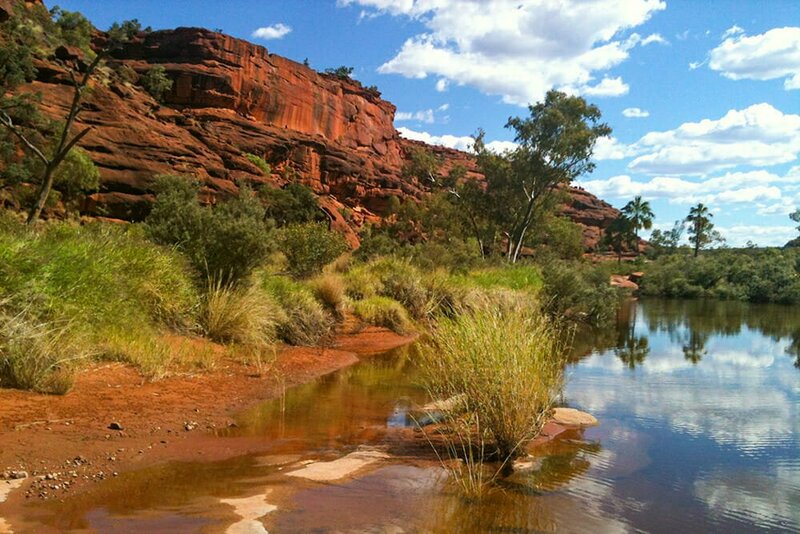 It is one of the most scenic drives in Central Australia with plenty to see along the way. Palm Valley is the only area where you would need a 4WD. The only accommodation available in the ranges is at Glen Helen Lodge. 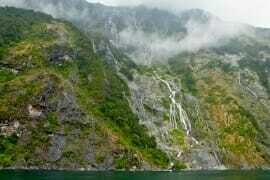 All the other gorges have camping sites that are well maintained and conveniently positioned.